Home » Backyards » How Do Communities Benefit from a Local Food Movement? How Do Communities Benefit from a Local Food Movement? What do you do when suburbanites realize that the farms they have been displacing can provide them with fresh and nutritious food if there was a financial incentive for them to stop growing corn and meet the growing demand for local vegetables, fruit, and meat? You bring the players together. Over the past year a Food Council has been meeting here in Howard County to determine if there is a need for new policies to support local agriculture, food delivery, and the local food industry. The Council was created and funded by the Horizon Foundation and the County Office of Environmental Sustainability. Its membership included farmers, aggregators, food delivery services, chefs, Ag extension experts, local institutions (college, schools, penitentiary) and social services groups from around the county and the state. What became instantly clear is that there are a lot of players in this space and a lot of potential for collaboration. It is also clear that there is the potential to develop a robust food industry by establishing a regional food hub and/or food incubator and creating synergy between growers, restaurants, institutions, and consumers. So the challenge will be to create new policies and legislation that will encourage growth of food and agricultural business opportunities, increase markets, and create jobs. 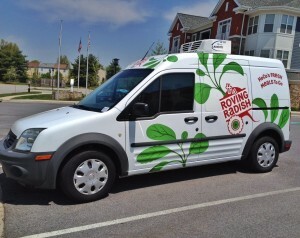 One project that did get off the ground this year was The Roving Radish: Howard County’s Fresh Meals To Go. This is a mobile farmer’s market that delivers boxes of food to families around the county. The boxes contain recipes and all the portions of food necessary to prepare two meals for a family of four. Intended for citizens who do not have the ability to travel to shopping, it was also a hit for busy families that liked the convenience of having everything in one box for making the next meal. The Food Council has just released their report. I think you will find it fascinating and a good game plan for you and your community. 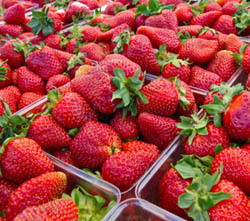 There are many business opportunities related to the production and consumption of local foods. Many areas of the country already have thriving local food businesses. But it is surprising how many areas do not. Here in Howard, we are hoping the new administration will seize on this opportunity to support the local agricultural industry and provide the keys for our local entrepreneurs to create restaurant and food processing businesses here for the rest of us to enjoy. Take-a-way: There is a lot you can do to enhance your community by encouraging local foods. By nedtillman2 in Backyards, Calls to action, Cities, Farmlands on February 11, 2015 .